As a new World Trade Center rises on the New York skyline, for scheduled opening in 2013, and the US may be on the way to regaining its place as the world’s largest producer of oil in 2017, another great American icon is about to return, as the Great American Steamboat Company prepares to re-introduce the 436-passenger sternwheeler American Queen to cruises on the Mississippi River in 2012. Elsewhere, after a stinging loss of business in 2010, Alaska manages to hold its own in 2011, while Louis Cruises abandons Genoa and Marseilles in favour of Piraeus. And Royal Caribbean makes a deal with China World Cruises. Along with the sobre events of this weekend, on the observance of the 10th anniversary of the terrorist attacks on New York and Washington, also comes a sense of optimism. A new World Trade Center, owned by the Port Authority of New York & New Jersey, is rising on the site of the old, and One World Trade, which at a height of 1776 feet will be the tallest building in the Americas, has now reached its 81st floor out of 104. This new backdrop for cruise ships arriving and departing New York is scheduled for completion in 2013. And by 2017, thanks to new technology, the United States is likely to return to being the world’s number one producer of oil, a position it has not held for four decades. 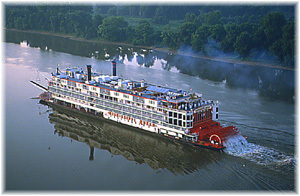 Meanwhile, another great American icon, the all-American Mississippi riverboat made famous by Mark Twain, will be revived in 2012 by a group of entrepreneurs from Memphis and elsewhere. 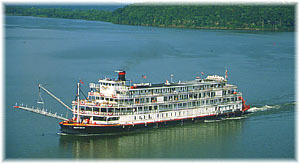 With the Delta Queen Steamboat Company having gone out of business in 2001 and its boats being taken over by the Delaware North Companies in 2002, a later successor, Majestic America Line, acquired the vessels in 2006 and then itself went out of business in 2008. For the past three seasons, therefore, and for the first time in 189 years according to one observer, there have been no riverboat passages offered on the Mississippi. This spring, however, it was announced that the 419-foot 436-passenger Mississippi steamer American Queen, the largest sternwheeler ever built, is to be re-enter service with a new Memphis-based firm known as the Great American Steamboat Company. With funds made available by local Memphis investors, including J R “Pitt” Hyde, and the City of Memphis itself, the newly-formed company has purchased the laid up American Queen from the US Maritime Administration for $15.5 million. Built in 1995, the American Queen has been laid up alongside the US Ready Reserve fleet in Beaumont, Texas, since 2008, after then owner Majestic America Lines defaulted on payments. On August 30, however, her latest lay-up ended when she was taken in tow by three tugs to the Bollinger Shipyard at Sulphur, Louisiana, where she arrived on September 1 for a $5 million revitalisation that will last four or five months. According to GASC executives, the Maritime Administration has been taking good care of her so the work required will not be too complicated. The revived paddle steamer will be based at Memphis, where the City of Memphis has been instrumental in making available $9 million of federal funds so that the line could create new jobs in Memphis. The new company is expected to create 250 new jobs, of which 160 will be on board ship. The new line is headquartered at One Commerce Center and the American Queen will use the new Beal Street Landing, where an $89 passenger tax will help pay for the new wharf and recoup some of city’s investment. The American Queen will offer 3-to-11-night cruises on the Mississippi, Ohio and Tennessee Rivers, with embarkations at Memphis, New Orleans, St Louis, Minneapolis/St Paul, Cincinnati and Pittsburgh, and fares will begin at $995, including complimentary wine and beer with dinner. Free pre-cruise hotel nights as well as a range of included excursions at every port will also be included in the cruise fares. The executives behind the new river cruise line give the line quite some credibility. Chairman John Waggoner heads up Indiana-based HMS Global Maritime, which operates over 100 vessels for state and federal agencies and is the largest operator of US-flag vessels. President Christopher Kyte is founder and chairman of California-based Uncommon Journeys, which has been packaging rail and cruise trips since 1990, and is a big supplier to Cunard Line and Holland America Line, as well as Delta Queen in its day. Chief executive officer Jeff Krida was president of the Delta Queen Steamboat Company in its heyday, having been there when they built the American Queen sixteen years ago. Although he retired as president of Cruise West in 2008, his previous involvement with Delta Queen brings a seasoned professional to the team. The revival of the American Queen has also brought about a reunion of sorts under Russ Varvel, senior vice-president of sales and another former Delta Queen hand, who is bringing back a number of Delta Queen alumni to represent the line in different parts of the country. Many of the bookings are expected to come from agents who used to support Delta Queen. And Tim Rubacky, senior vice-president of sales, marketing and product development, has joined from Oceania Cruises, where he was senior director of corporate communications. Meanwhile, in the absence of any riverboat trade, Connecticut-based American Cruise Lines had started work on a new 230-foot 140-passenger boat to be called the Queen of the Mississippi at its Chesapeake Shipbuilding yard in Salisbury, Maryland. 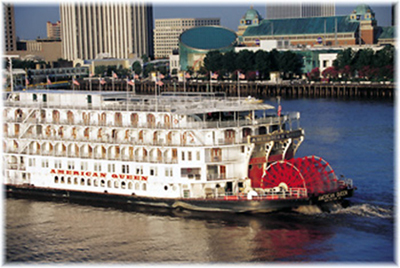 Due to enter service in August 2012 with a maiden voyage from New Orleans to Memphis, her 7-night cruises will be priced from $3,995. 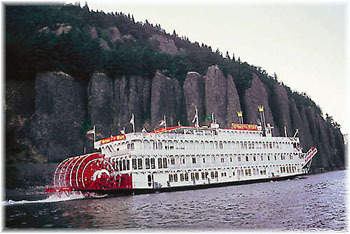 ACL already operates the 230-foot 120-passenger sternwheeler Queen of the West on the Columbia and Snake Rivers and a fleet of US-flag coastal cruise ships. Of the American Queen’s one-time consorts on the Mississippi, the veteran 285-foot 176-passenger Delta Queen, built in 1926, is now a floating hotel at Chattanooga. One of her claims to fame is that her hull, engines and bottom two decks were built by the famous Scottish shipbuilders Wm Denny & Sons at Dumbarton and transported to the US for assembly. The 382-foot 412-passenger Mississippi Queen, which entered service in 1976, has meanwhile come to the end of her career and been broken up this summer at Morgan City, Louisiana. She was known for having been designed by James Gardner, who also designed the Queen Elizabeth 2. By the names of all these riverboats, one can see that despite the fact that America is a republic, there is one place left where Queens still have a place. American riverboats are Queens in their own right, maybe because, as Mark Twain said, they resemble floating wedding cakes. Twain was in his own time a licensed riverboat pilot, and indeed he took his pen name (his real name was Samuel L Clemens) from the call for two fathoms of water under the boat as measured by the lead line. The other thing about the American Queen will be the music – on a river that has variously produced Dixieland, jazz, country and rock – that will form part of the on board entertainment. 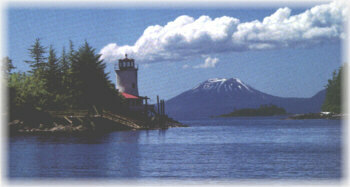 According to the latest estimates from the Alaska Cruise Association, cruise visitors are steady for 2011. 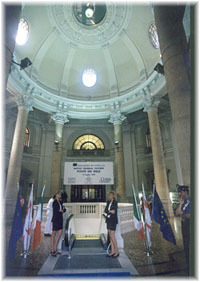 The association expects 887,000 cruise visitors in 2011 compared to 880,000 in 2010. 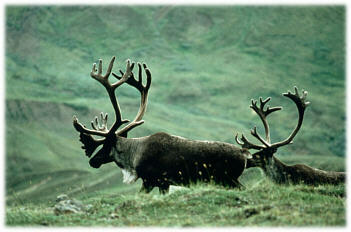 This gain of 7,000 passengers, at less than 1%, means that Alaska is holding its own. Although Alaska lost two more ships this year, the Ryndam, moved to Europe, and the Royal Princess, which moved to P&O as the Adonia, it gained four in the Crystal Symphony, Disney Wonder, Oceania’s Regatta and Silversea’s Silver Shadow. And looking to 2012, Princess will bring another ship to Alaska, which translates to about 50,000 more visitors to the state. This news is much better than 2010, when the state was anticipating a loss of 140,000 passengers, a 14% drop, due to the state government’s imposition of the $50 head tax that has since been reduced. In fact, it was the Alaska Cruise Association that was instrumental in filing the lawsuit in federal court against the collection and use of the head tax, that eventually brought about that change, that and a change of Governor in Juneau from Governor Palin to Governor Parnell. Meanwhile, Seattle, where US flights are more frequent and less expensive than at Vancouver, has gained business to the point where Vancouver and Seattle now battle with each other to do better than half the Alaska cruise trade in any one year. Louis Cruises has decided to abandon cruising from Genoa and Marseilles in order to concentrate on Piraeus, although it will continue to hold an interest in the Marseilles cruise terminal along with Costa Cruises and MSC. This will start with the 2011-12 winter program, which will no longer feature departures by Louis ships from Genoa and Marseilles. Louis will thus focus on its operations out of Piraeus until such time as it may have suitable tonnage to return to offering cruises from Genoa and Marseilles. With the Louis Majesty having been switched to Piraeus this summer to run alongside the Louis Cristal, this has left the older Coral and the Orient Queen to sail from Genoa and Marseilles on 6-, 7-, 8- and 10-night itineraries, but deployments for these ships have not yet been announced for 2012. Meanwhile, it appears that the core Louis fleet will be laid up this winter, with the exception of the Louis Cristal, which will be chartered to Cuba Cruise of Toronto for a series of 7-night “Round Cuba” cruises from Havana. Last week it was announced that Royal Caribbean International has entered into a strategic agreement with the Xiamen municipal government and China World Cruises, a subsidiary of Shan-Hai-Shu, a Chinese property developer and theme park developer. The result is a four-month charter of the 1,800-berth Legend of the Seas to sail from Xiamen and other Chinese ports from March 2012. During the four months, Royal Caribbean will operate and market twenty-one 3-to-8-night cruises from Xiamen, as well as Shanghai, Tianjin and Hong Kong, to ports of call in Taiwan, Vietnam, Japan and Korea. 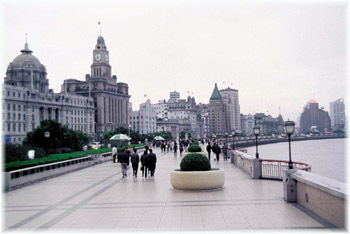 The inaugural, 5-night charter sailing will depart from Hong Kong on March 20, 2012, while the first departure from Xiamen will be on March 26. The time charter agreement is backed by the Xiamen municipal government as part of its development of Xiamen as the fourth homeport for Royal Caribbean in China, after Shanghai, Tianjin and Hong Kong. Xiamen, one of the fastest-growing ports in China, is located between Shanghai and Hong Kong and is less than 200 miles from Taipei.